Notice: Undefined index: password in eval() (line 22 of /home2/stevepar/public_html/modules/php/php.module(80) : eval()'d code). Mali bangles are a staple of mine. I've carried them for over 25 years and they are one of the first products I ever bought. As their namesake sugests, they are made in Mali, W. Africa. 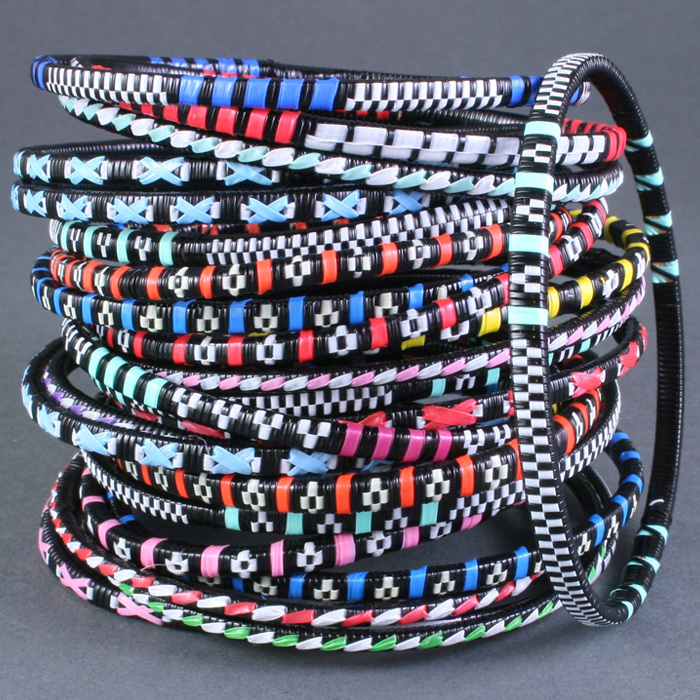 Mali bangles are made by women at home as an extra source of income. They are made from disgarded plastic floor mats which are shredded and then woven around a wicker style core.